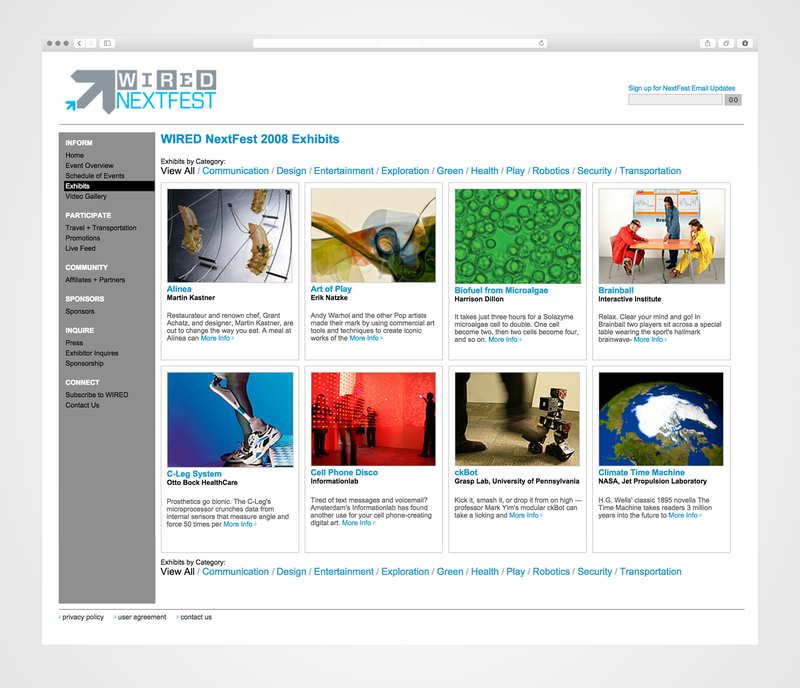 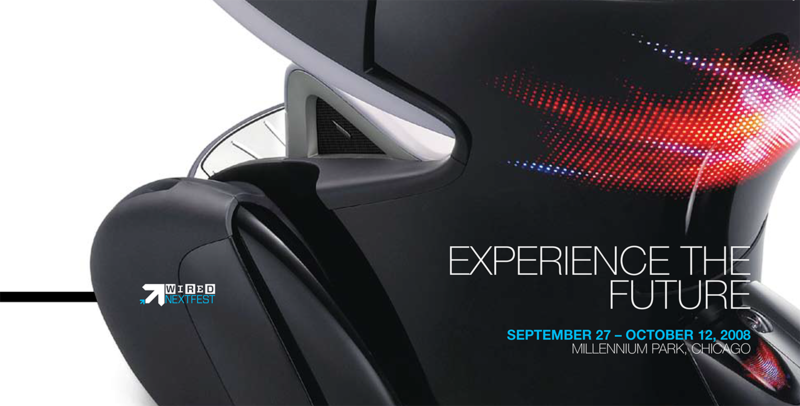 From 2004 to 2008, WIRED Magazine organized Nextfest: an annual "festival of innovative products and technologies". 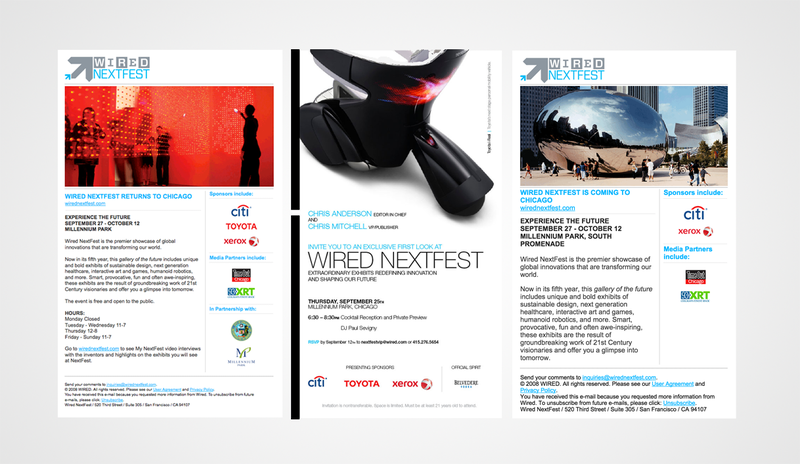 WIRED Nextfest was considered as the premier showcase of the global innovations transforming our world. 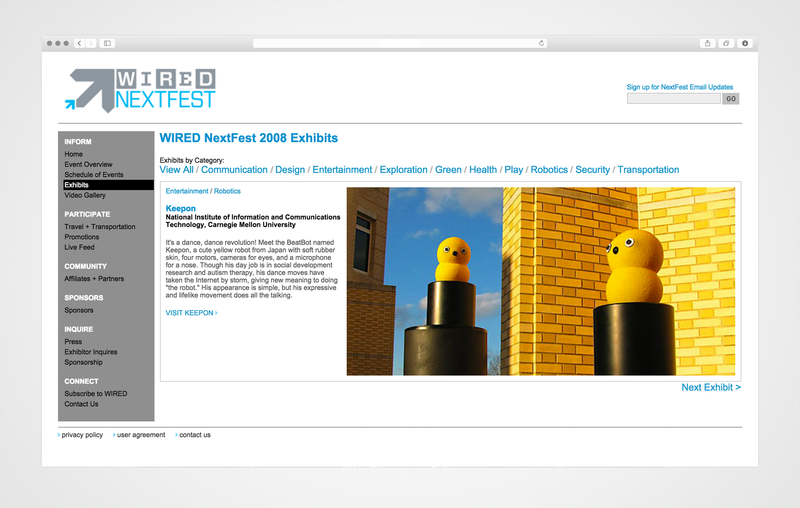 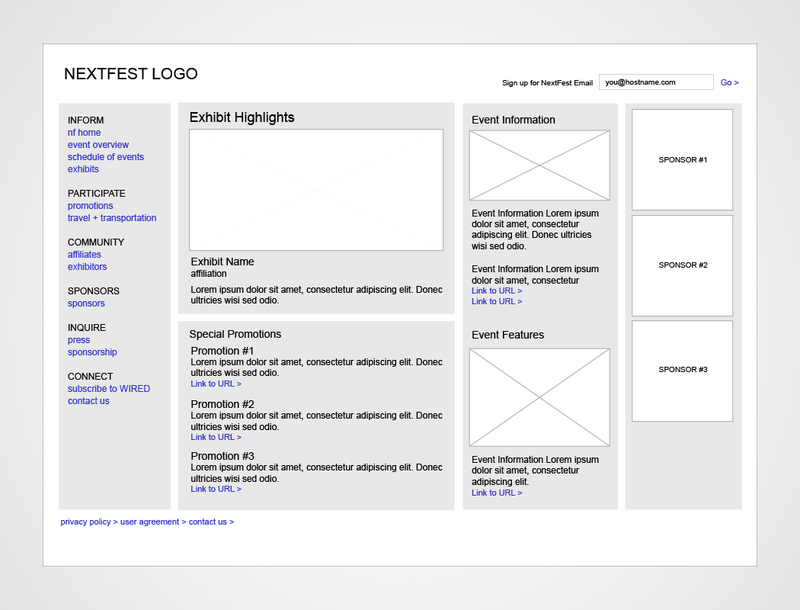 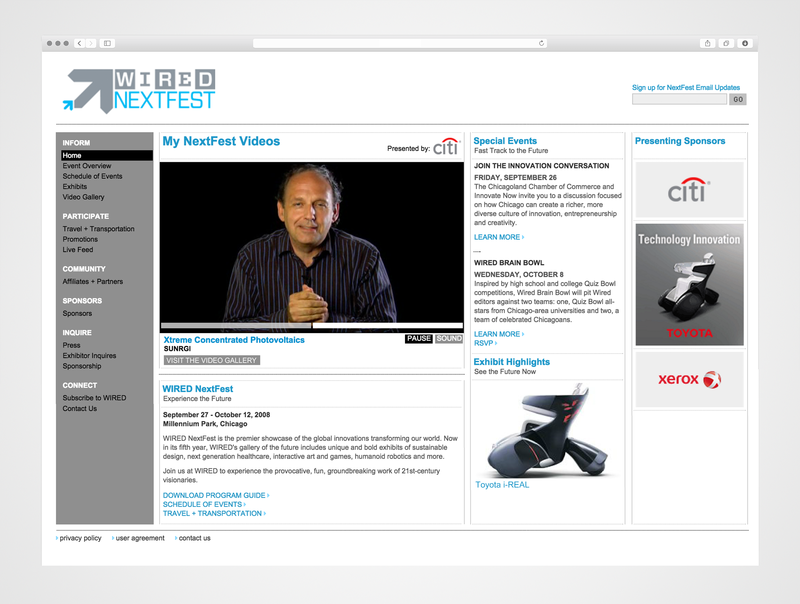 I worked with the WIRED marketing team to create project specifications to design, build, and code the website, emails, and marketing promotions for WIRED Nextfest. 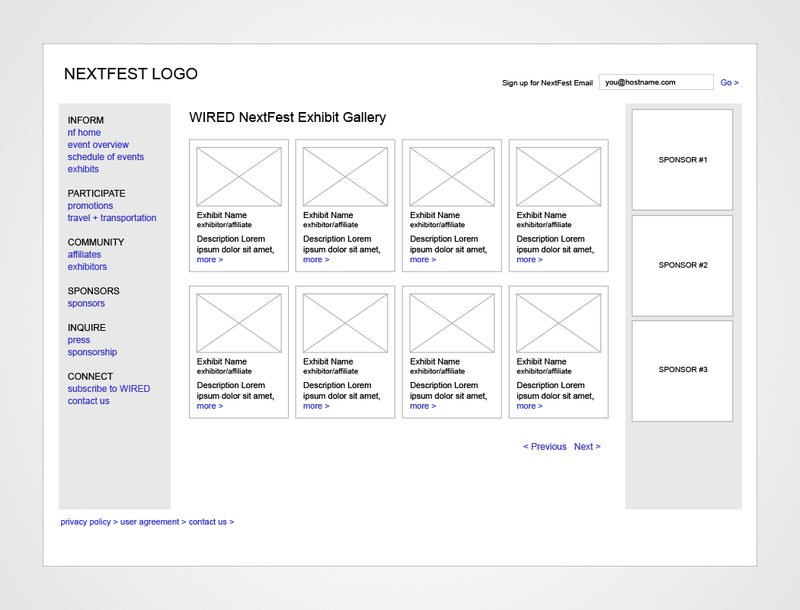 I create wireframes and design pixel perfect page templates and email newsletters. 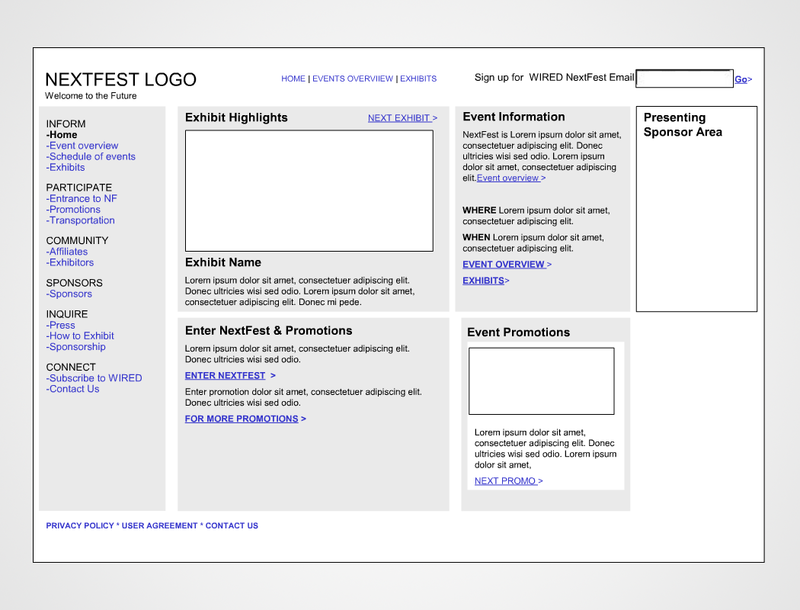 I splice and code the design mockups using Adobe CS, hand-coded XHTML, CSS, PHP, and Flash. 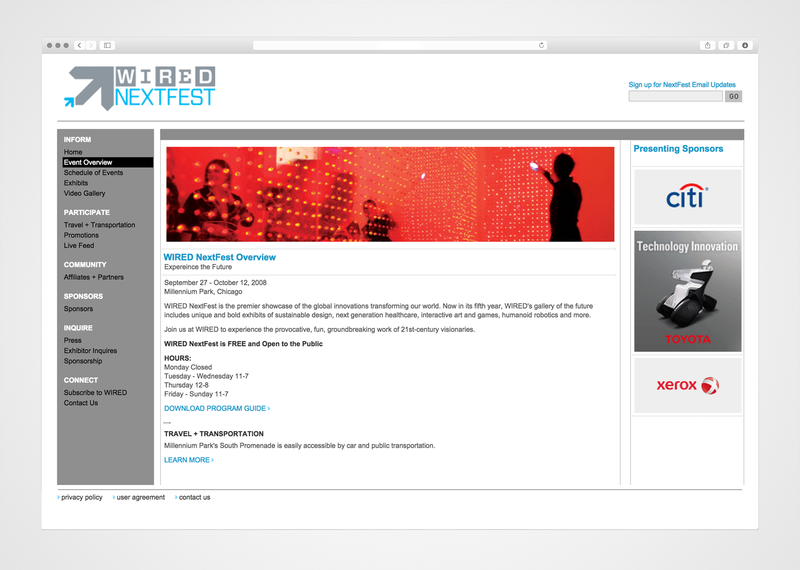 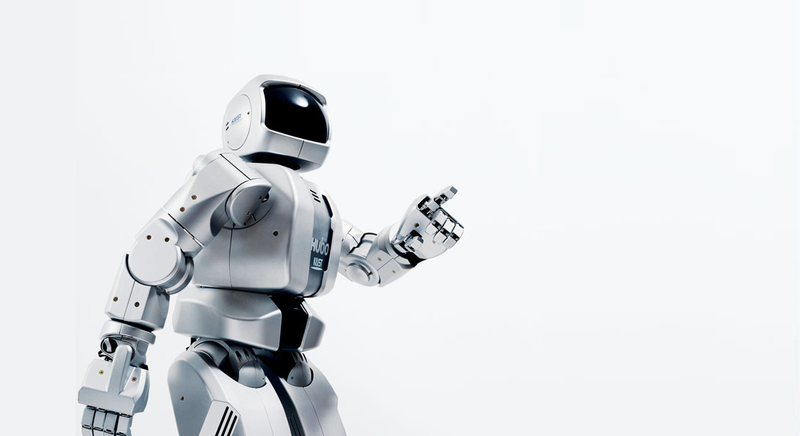 I perform the ongoing maintenance of the WIRED Nextfest website. 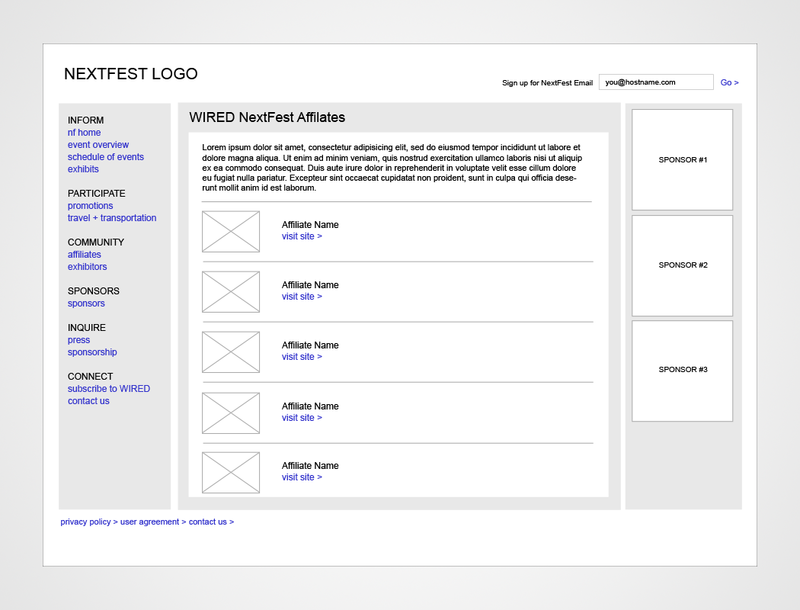 I perform cross browser quality assurance reviews to ensure website accuracy.